Knowing the vast importance of industrial processes automation and the necessity of their failure-free run, we will design and complete the whole implementation of the desired system, regardless of the branch of your business. If you search for the systems that will allow you for full realization of a production process, its monitoring and also handling by operators, maintenance service teams and managing managers, we will create such system for you. . Designing projects of automation and electrical branch. Programming PLC controllers, DCS systems and ESD applications. Prefabrication of control and electrical cabinets. Modernization of the existing control systems. 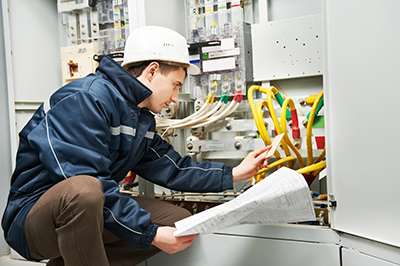 We have confirmed and certified qualifications in terms of the following systems: DeltaV, Allen-Bradley, Honeywell, Siemens, Hima, Foxboro, Triconex. We accomplish the entrusted tasks comprehensively, starting at assembling all the devices of Control and Measurement Instruments an Automation, along with performing cable routes and ending with the configuration of the control systems. 2017 Wszelkie prawa zastrzeżone. Tewemo Sp. z o.o.